Pokemon Go is nothing short of a phenomenon. It has broken download records for iTunes, caused countless news stations to cover it during primetime hours, and even has folks *gasp* getting up and moving around to play it! If you’re one of the millions who have been playing the game, then you know the frustrations that come with it, not the least of which being poor server connections causing you to not even be able to play the game. But Niantic, the company behind the game, must be doing something right, because despite all this countless players, myself included, still connect to the game every day to see which little pocket monsters are showing up in the real world now. But just like any video game, especially one in the mobile marketplace, the drop off for players can occur instantly unless we’re given consistent, new content to keep us motivated. 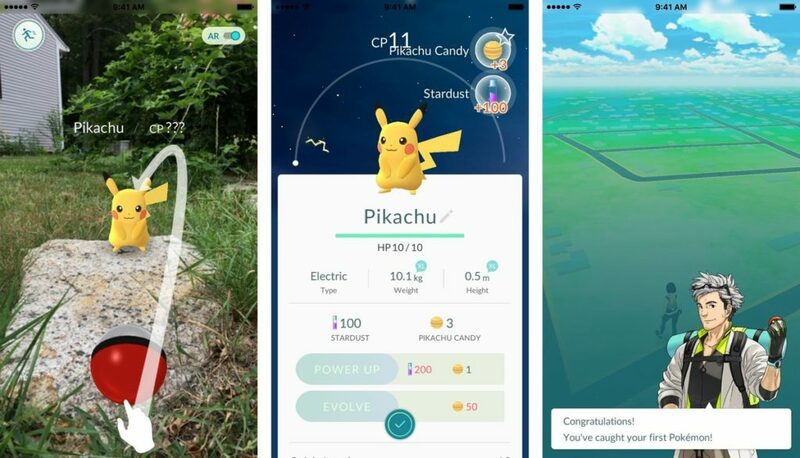 So what does the future of Pokemon Go even look like? Let’s speculate! Easily the biggest draw to keep players coming back will be the introduction of new Pokemon to capture. Currently only the original 150 (151, maybe?) Pokemon are out there in the world. That leaves nearly 600 more monsters to find and capture. Surely they won’t all be released simultaneously, but at some point I’m going to want a Sandile and a Greninja in my crew! How will Niantic handle these new Pokemon though? Surely you can make it so different Pokemon show up at different places, but after you introduce nearly 500 different creatures, how are you going to make the game work with the current system? If you need candies to upgrade and evolve Pokemon, how are you going to get enough when there are literally dozens upon dozens of Bird-type Pokemon in your area? It’ll be interesting to see how Niantic tackles this upcoming issue. The second crux of a Pokemon game aside from the Pokemon themselves are battles. Currently you can only battle another Pokemon at a gym. Though the battles aren’t as engaging or strategic as a Pokemon game proper, they still offer excitement! Watching a gym turn from blue to red, then back to blue, and occasionally to yellow, is kind of cool. Getting in on the action and teaming up with your fellow gym trainers to tackle an opposing gym leader together is great fun, too! But why not have these battles anywhere? It would be cool to see a wild Pokemon in the world, and then have the option to capture it like you normally would by timing your PokeBall throw, or to be able to engage it in battle! If you win, your battling Pokemon can gain some CP, the number associated with your creatures power. This would be a neat alternative to only leveling up your team by capturing other Pokemon on the same type, and it would allow the user to get stronger Pokemon more easily! I wouldn’t consider myself an avid mobile gamer, but for many of the games I have played on iOS (or at least read about) there’s an incentive to log into the app every day. Doing so usually gives you special bonuses like additional items or money, and after a long period of time, like maybe a week straight of logging in, you’re given something more significant, like the premium currency the game uses. Pokemon Go doesn’t do anything like this, and it is such a mistake. Adding in this small incentive and giving the players something minimal like a couple PokeBalls here and there can go a long way for retention! A couple of my friends only log into the game to go to PokeStops to collect PokeBalls because they don’t have enough to actually play the game! Yes, they can buy them, but they don’t want too. And to be able to play the game they really shouldn’t have too, and this small addition could help! It’s not unheard of for video games to have a designated time where you can gain bonus experience of money, or a certain time where specific items of things are exclusively available. Hell, the Pokemon games proper do this all the time with special download releases of legendary Pokemon. Why not bring this to Pokemon Go? You could have a weekend where all experience earned is doubled, or where lures automatically applied to certain PokeStop locations. I’m sure businesses wouldn’t mind the increased foot traffic, and you can guarantee gamers will appreciate the change! This could also be a time to release legendary Pokemon into the game. Just think about it: for one weekend only you can try to catch Mew! PoGo players would jump all over that to get the chance to catch the illusive Mew! Another no brainer, trading Pokemon has to come to the game at some time. 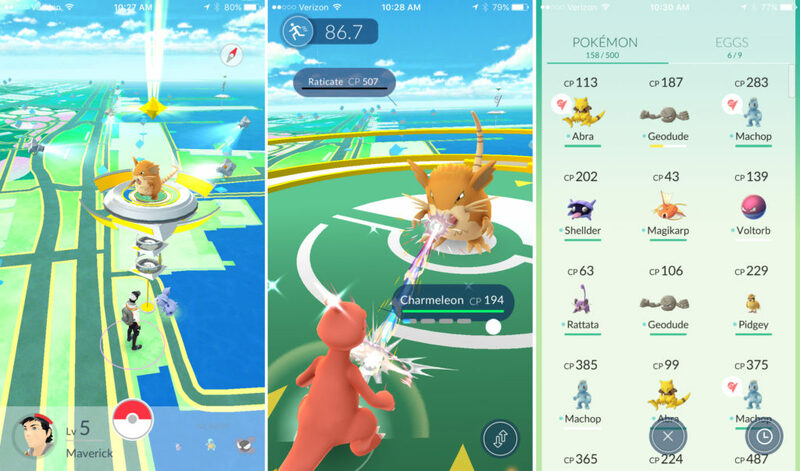 Niantic have said they are working on making this a part of the game, and it would be a much welcome addition. While it would make sense for trading to be done locally, meaning you can trade Pokemon with someone you’re near, but having a trade system with anyone around the world via the internet would make for some exciting possibilities as well! What if you could, say, only catch a Lucario is Europe, and Magmar is only in North America? Well, have those players from those parts of the world get online and trade with one another, then you can start seeing Pokemon from different regions showing up in yours, kind of like an actual Pokemon game! There will probably be some technicalities behind trading, like giving too high a Pokemon to too low a level trainer, but we can work those out later! Let’s just get the feature up and running! I mean, come on. Why wasn’t this thought of beforehand? If necessary, you can even make an entirely separate app just to track movement, and then sync it with Pokemon Go, just so we don’t have to keep the game open and drain our batteries. I like the mechanic of walking to get eggs to hatch, but having to walk with the app opens literally means walking with an external battery in my pocket, and my iPhone getting damn hot. Let’s fix this! 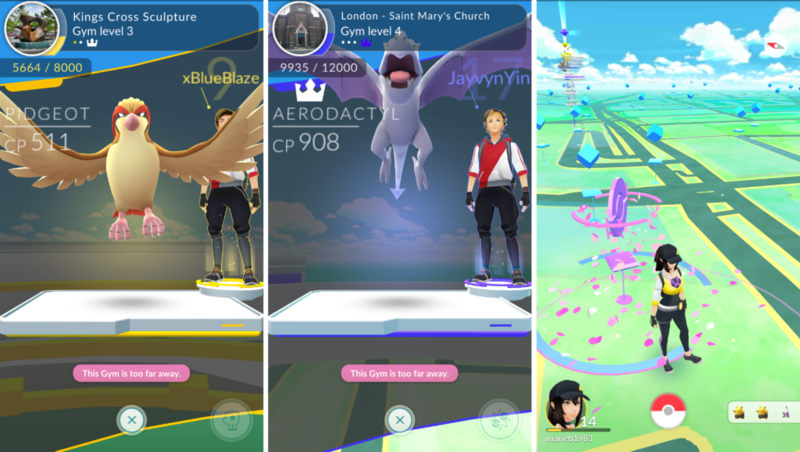 Pokemon Go is a social game, and it comes with a team system already built in thanks to the three gyms you can choose to be a part of. Without any real effort, Niantic has inadvertently created a community around each gym, with funny memes and stereotypes following each. It would then make sense to have those teams rise up together to reach a common goal. Something simple like control the most gyms for the longest time, or something different like capture the most Pikachu’s in a set timeframe. You could even introduce a larger common goal, like having the three teams band together to take down Team Rocket, who could, perhaps, take over every gym out there with high level Pokemon! Working together, either as separate teams or one large group, has a lot of potential and replay value! The hardest part about a game shouldn’t be logging in to play. Easily the biggest complaint and something I’m sure is being addressed are the terrible server issues. There is just so much hype for the game, I don’t think Niantic anticipated as many people would play it as there are. Hopefully sooner rather than later we’ll get more servers or better connections and therefore less login failures and game crashes. If there’s one thing that can certainly kill a game’s longevity, it’s not being able to play it. Those are just some of my speculations for the future of Pokemon Go. What do you think our future will look like with this new title? Moreover, what do you really want to see added to the game? Let me know, and happy hunting!